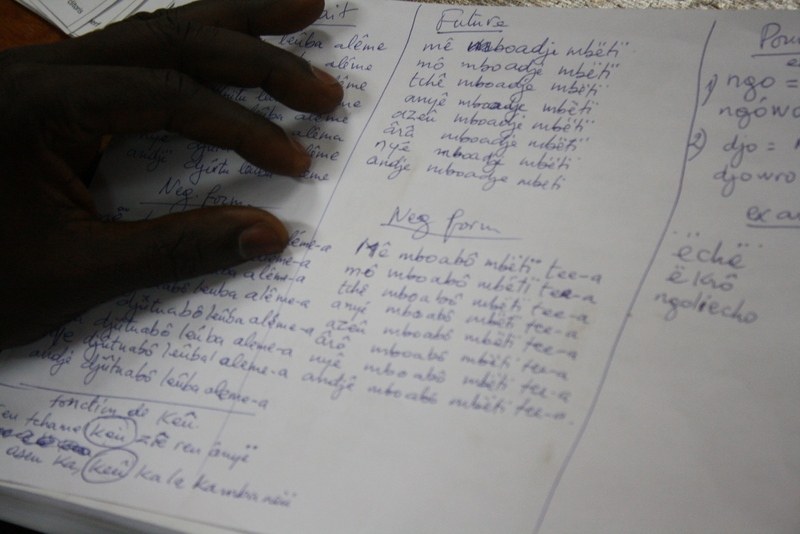 Analyzing a text in a Central African language (can’t remember which one – can anybody help?). The words circled in red are ones which have two or more meanings depending which tones you pronounce them with. 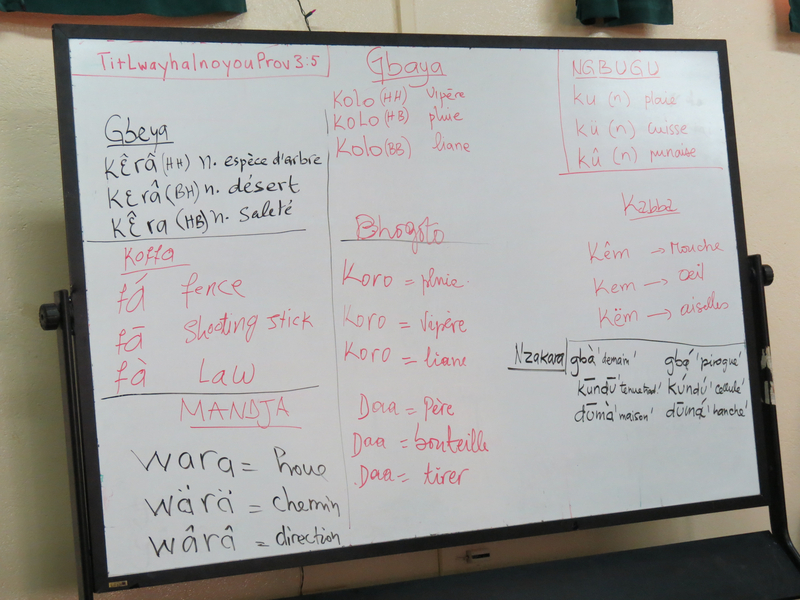 A whiteboard full of examples of tonal minimal triplets (groups of words that are distinguished from each other only by tone, not by consonants or vowels) in eight different Central African and Cameroonian languages. 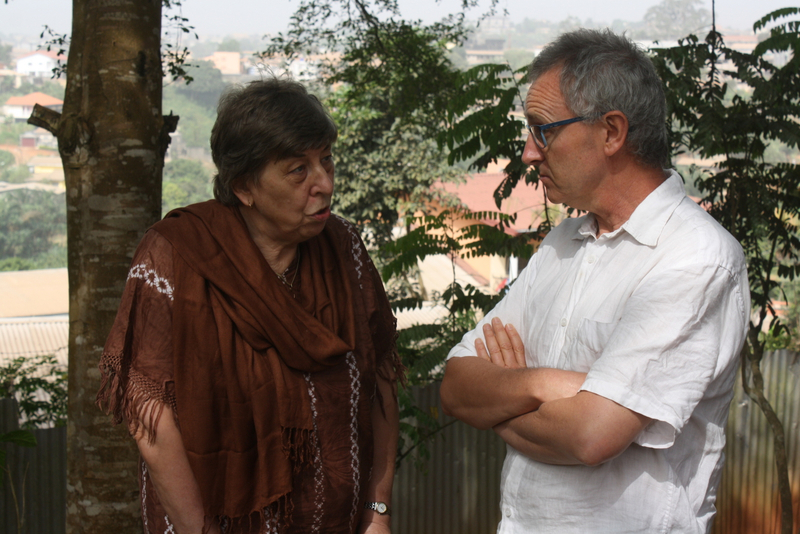 In discussion with Connie KL about how to write tone in Central African languages. Here in Cameroon, I’m having a noun class holiday. 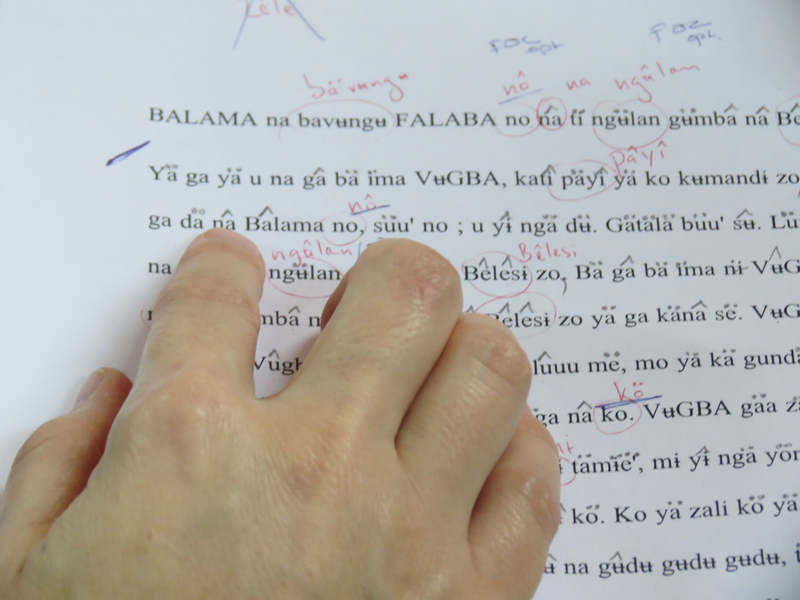 I’m helping to staff a three week orthography seminar, and am working with participants from Kabba, a Central African language. To my delight, Kabba doesn’t have noun classes. By way of contrast, Kabiye has ten. That means that every time you include a noun in a sentence (which is quite often, let’s face it…), you have to remember which class it belongs to, and that split second choice then has a knock-on effect through the rest of the sentence. Linguists call it Agreement. It’s a nightmare and should never have been invented. Ten classes makes mere masculine and feminine in French seem like child’s play. Come to think of it, Kabba manages to express an awful lot with very little. It has no verbal inflection, no morphophonology, no tonal processes. All of these are rife in Kabiye. I had no idea I’d been working on a complex language all these years. I recommend the Moulin de France, a good pizza restaurant in downtown Yaoundé. It has an boulangerie and ice cream parlor to rival anything in Togo. The prices more than double what we pay in Lomé, but are still much cheaper than Paris. I arrived safely in Yaoundé yesterday… but my baggage didn’t. I’m hoping to get it back when the plane returns from Libreville (Gabon) tomorrow afternoon. It’s very funny: everyone here is quite laid back about it and has their own stories to tell. In the meantime I have been lent a toothbrush and a shirt. What else does one need? One advantage of being in the tropics is that you can wash clothes late one evening and they will be dry by early the next morning. 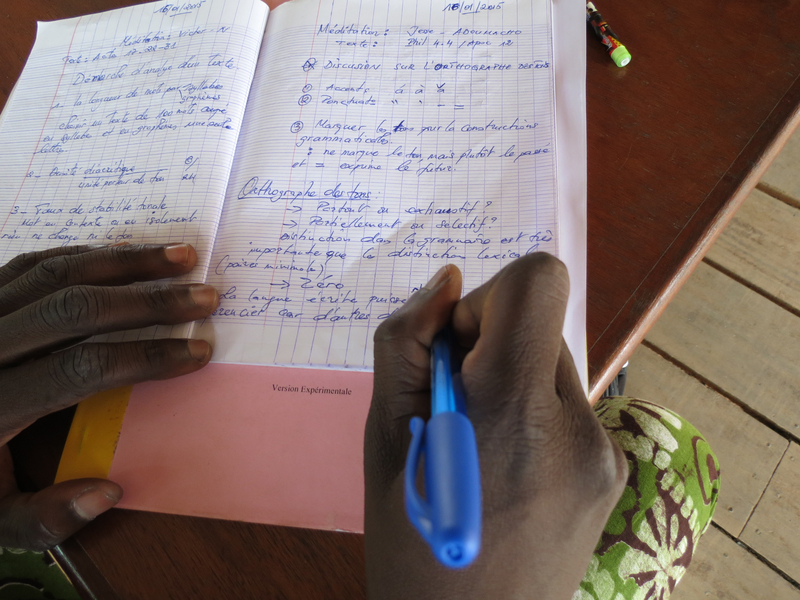 I’m here to help staff a tone orthography workshop, with participants from six Central African languages. I’m working with the Kabba guys. Fun.